Curtis Dale Prewett, son of Orville Boyd and Marilyn Joan (Bilyeu) Prewett, was born July 18, 1958, and passed away April 8, 2019, at Cox Health in Springfield, Missouri, after a courageous 3 ½ year battle with brain cancer. He was 60 years old. Curtis grew up in Springfield, Missouri, and graduated from Hillcrest High School in 1977. During his school years, he was very active in sports, lettering in football, wrestling, and track. He still holds the record in the 440 yard relay and he went to State in wrestling with his buddy, Bob Loss. From a young age, he enjoyed bowling and was in several leagues. 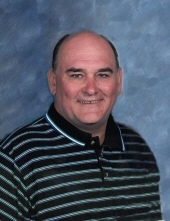 Curtis loved the outdoors and was an avid hunter and fisherman. He floated the Gasconade on a 100 mile float trip every year with his dad and brother until his dad’s health declined. Curtis met the love of his life and best friend, Elaina Bennett, after her sister, Trena, gave him Elaina’s name and phone number in a parking lot in Springfield. They went on their first date August 8, 1988. They were united in marriage on March 11, 1989, and just celebrated 30 years together. In September of 1997, Jessica, Michael, and Chasity joined the family and were officially adopted and became Prewetts on July 9, 1998. He enjoyed showing them new things and taking them places they had never been before. He loved his kids so much. Curtis worked multiple laborer jobs over the years, including the railroad, Hutchens, Arkansas Electric, and Grisham Farms until his health no longer permitted him to. He loved spending time with family, especially family vacations. If Elaina said, “Let’s go”, he was ready and waiting in the car. They traveled many places and have wonderful priceless memories. He enjoyed going to Silver Dollar City with his family. Curtis was able to deer hunt this last year with his friend, Daniel Reed, and was able to shoot a doe. He always liked fried deer tenderloin. The story was told that the deer practically walked right into the barn Curtis was sitting in. Curtis was diagnosed with Glioblastoma Stage IV Brain Cancer in December 2015. He had his first brain surgery December 20th and was released December 23rd, in time to make it to Christmas. He fought so hard and never gave up. Curtis was preceded in death by his father, Orville Prewett, his brother, Daniel Prewett, his sister, Marilyn Ann Prewett, a nephew, Cody Hackler, and a brother-in-law, Larry Ruark. He is survived by his wife, Elaina, his children, Michael, Jessica, and Chasity, his mother, Joan Prewett, his sister, Beatrice Ruark, many aunts, uncles, nieces, nephews, extended family, and friends who will miss him. He was able to obtain his ultimate healing on April 8, 2019, with his family by his side. To be absent from the body is to be present with the Lord. To send flowers or a remembrance gift to the family of Curtis Dale Prewett, please visit our Tribute Store. "Email Address" would like to share the life celebration of Curtis Dale Prewett. Click on the "link" to go to share a favorite memory or leave a condolence message for the family.